Navigation, Sunroof, Leather Seats, B & O Premium Sound System, SYNC! Our F-150's trim level is Lariat. The Lariat trim adds some extra luxury and style to this hard-working F-150. It comes with leather seats which are heated and cooled in front, a SYNC 3 infotainment system with Bluetooth and SiriusXM, a rearview camera with rear parking sensors, dual-zone automatic climate control, remote engine start, chrome exterior trim, aluminum wheels, fog lights, and more. 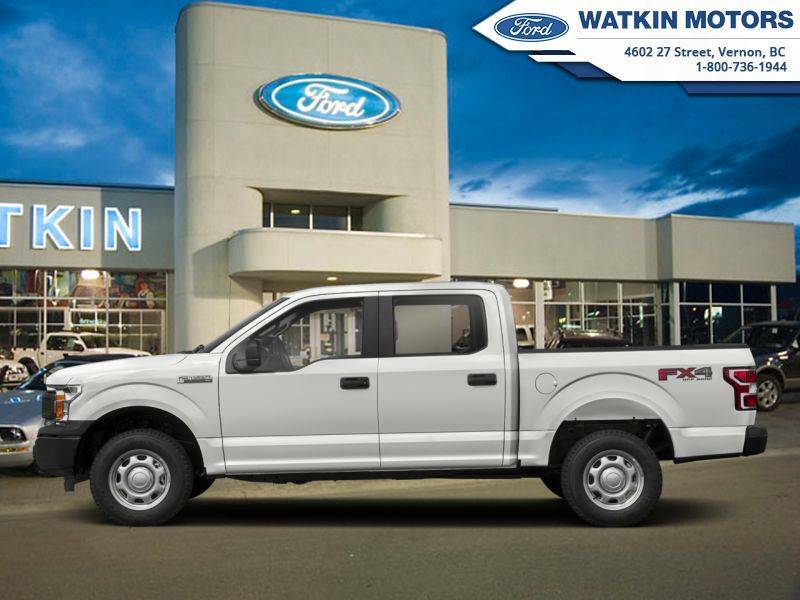 This vehicle has been upgraded with the following features: Navigation, Sunroof, Leather Seats, B & O Premium Sound System, Sync, Tailgate Step With Tailgate Lift Assist, 20 Inch Aluminum Wheels. View the original window sticker for this vehicle with this url http://www.windowsticker.forddirect.com/windowsticker.pdf?vin=1FTFW1E14JFD71757. We've discounted this vehicle $4250. Total rebate of $10750 is reflected in the price. Credit includes $10,000 Delivery Allowance. Includes $750 Cash Bonus. Incentives expire 2019-04-30. See dealer for details. Come by and check out our fleet of 40+ used cars and trucks and 140+ new cars and trucks for sale in Vernon.